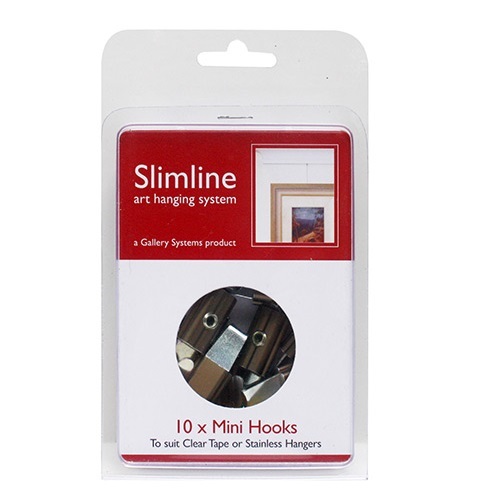 The Slimline Mini Hook (pack of 10) can be used with both Slimline Clear Tape and Stainless Steel Cable Hangers. The hook locks in place using the Allen key supplied in each pack. Weight bearing capacity: 14kg (max. weight on the Slimline Clear Tape System is 7kg). SKU: GSL.HOOP Categories: Slimline System. Sleek and unobtrusive. 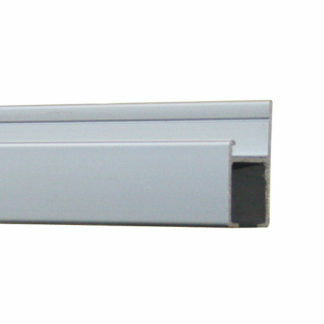 Residential or Commercial., Picture Rail System. Add the functionality of a modern hanging system to existing picture rails.